It’s Hot. 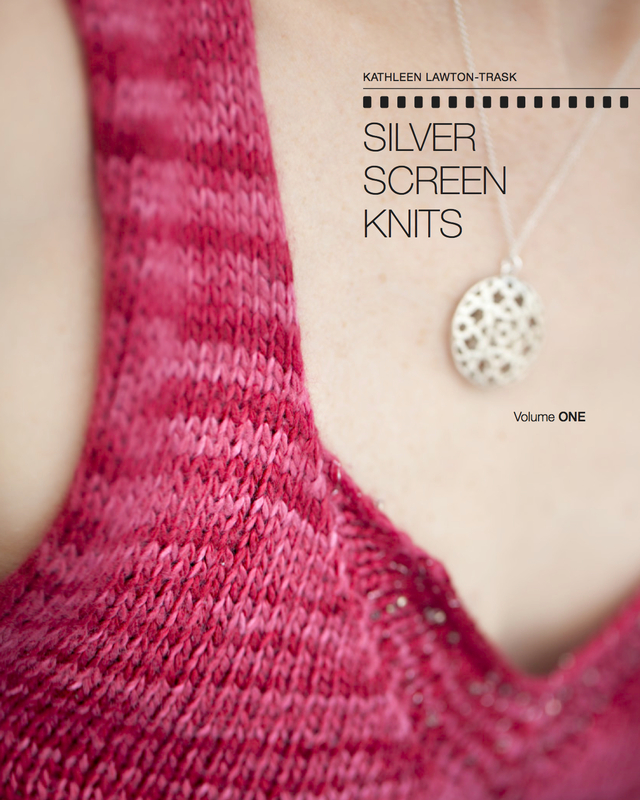 | Knit Like You Mean It. So — you all may have guessed from the Twitter feed that it’s hot here. Not so much outside as inside. Our A/C hasn’t yet been serviced for the summer and it chose this weekend, with highs in the 90s, to conk out. As in – it works but it blows warm air. Just what we want. I am writing this inside my home, but I keep going outside to make sure it isn’t cooler out there. There’s a little breeze outside, to be sure. But I have to weigh that against The Pollen. It’s going to storm tonight and I’m looking forward to that. The War on Heat, after the jump. 1. Open all windows in bedroom, for cross breeze. 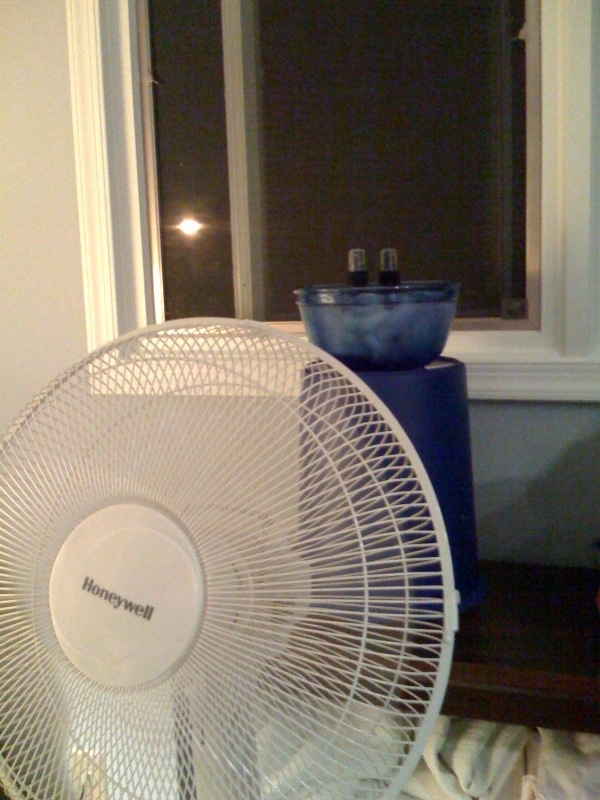 Place fan in front of window, aimed at bed. Place large bowl of ice water behind fan. Turn on fan. 2. Get damp frozen washcloths out of freezer. NOTE: do not freeze longer than two hours, or you will have eight-washcloth brick rather than nice cold washcloths. FURTHER NOTE: If you do wind up with brick, neither cool water nor hot water nor thwacking with rubber mallet will peel it apart. We can’t help you here. 3. Place bandanas in ice water. 5. Take bandanas out of ice water and place on head like Bodie from The Wire. 6. Recline on bed like Cleopatra or like Victorian woman thinking of England. Place nice cold washcloths on feet (feet are heat sinks, says Mr. Trask). Doesn’t that feel nice? 7. Spritz fan with water. Get into water-spritzing competition with spouse. 8. Lie very still. Think of England. We wake up with the bed very damp from the bandannas/washcloths/spritzing, but at least we get to sleep. There’s been heat lightning (cool!) and a few showers every night, late. We’ve lost power two nights of the three. But, hey, those frozen washcloths feel gooood. ← What Do I Bring?